The Wireless Joystick brings the same Smart-Stick technology that is built in to your fixed Xenta Joystick to a mobile device. You will still have the same precise confident control but now you can move freely about the boat enabling you to see all corners of the vessel as you are docking, anchoring, and maneuvering in close quarters. 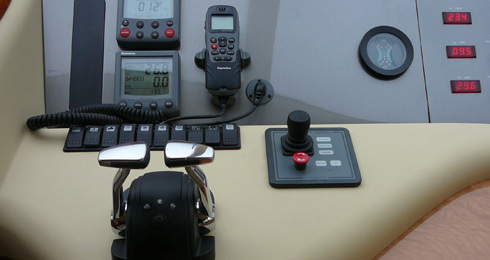 The original idea conceived by Xentas was to replace the traditional control head and the rudder with a joystick that would have allowed to dock the craft with only one control system in a safe, simple and intuitive way. 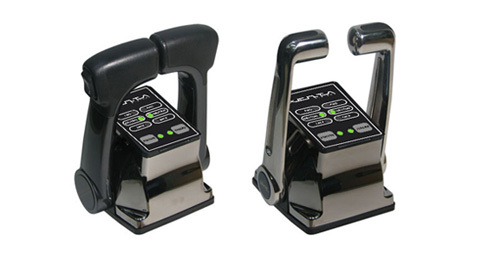 The Vessel Maneuvering Assistant (VMA) allows the pilot to perform any maneuver by moving the joystick in the chosen direction. Analogously, by rotating the knob of the joystick (clockwise or anticlockwise) the craft rotates around its axis; this implies that the pilot can concentrate on the most suitable maneuver, letting the system take care of how to activate the engines and the thrusters. 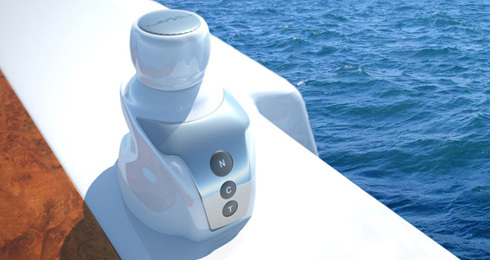 With the aid of the integrated compass the system is able to perform all the maneuvers compensating automatically the effect of the wind and of the leeway drift. Moreover, the system is able to perform in a very simple way combined maneuvers. Just like the VMA, the PLUS version manages autonomously and cleverly all the onboard means of propulsion allowing the pilot to concentrate on the most suitable maneuver and leaving to the system the task of determining how to activate the engines and the thrusters. Moreover, the system is able to perform combined maneuvers and to adjust the thrust of the engines modulating the RPM or to operate on the throlling-valve. 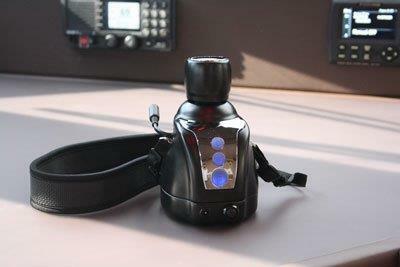 VMA PLUS allows to install up to 6 control stations and the use of a wireless portable station which is able to govern the craft in full safety from any place on board. Moreover, the funtion of position keeping is also available which, if it is activated, keeps the craft in a determined position even when it is windy or in case the current should be strong. The system can be easily installed, even retrofitted, on any kind of boat equipped with two engines and with the bow thruster. 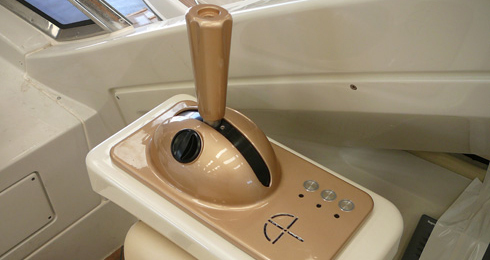 The JMC allows to control the craft with only one level either when maneuvering and when cruising. JMC manages cleverly the main engines, the gearbox, the rudders (or the hydrojets or the surface piercing propellers), the bow thruster and the stern thruster if the boast is equipped with one. JMC allows the pilot to control the craft with only one hand, moving the joystick in the chosen direction to obtain the required movement. 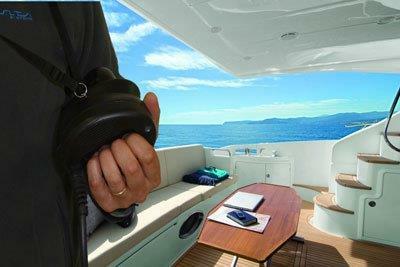 The innovative HELM BY WIRES system by XENTA Systems makes the traditional rudders apparatus on the craft very simple. 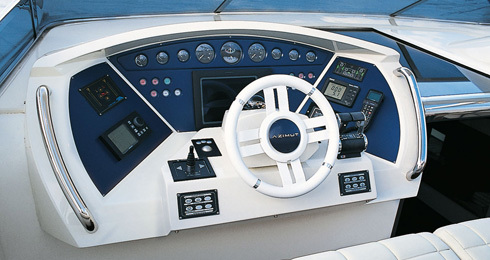 The system is equipped with sensors that detect the angle of rotation of the rudder wheel and convey it to the control unit through 2 independent communication channels with the CANBUS technology. The solution guarantees the maximum safety thanks to the redundancy of the signals. 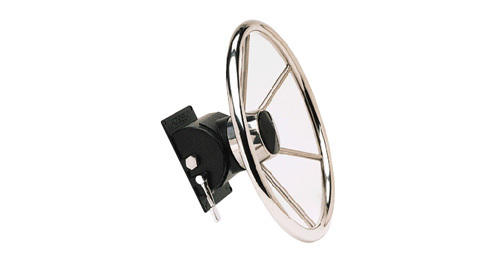 Moreover, the system is equipped with an electromagnetic brake that allows to modulate the torque for the rotation of the helm and to manage actively the limit switches of the helm. 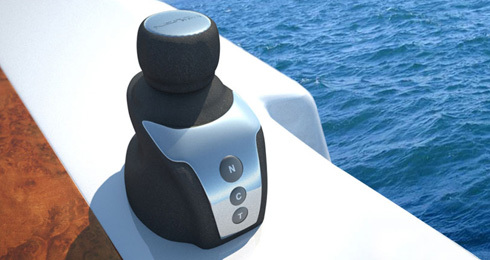 With the aid of this technology, the system is able to adjust the torque for the rotation of the helm when the engines RPM change; in this way the pilot gets a direct feedback on the real navigation conditions and safety is guaranteed. The HELM BY WIRES system is interfaced with the traditinal rudder apparatuses; moreover, the system is able to manage the hydrojet and the surface piercing propellers systems. The innovative and compact design of the THROTTLE system combines the ergonomical levers with a very intuitive position of the press buttons and of the indicators which make the system extremely simple and comfortable to use. The THROTTLE system relies, in order to allow the communication between the various components of the system, on the CAN-BUS technology that holds an excellent track record of reliability. The CAN-BUS technology allows to perfectly and automatically synchronize the engines even when slight shifts of positin between one lever and the other occur. The system also integrates the SYNCHRO operative mode that allows to use a single lever to govern both engines. 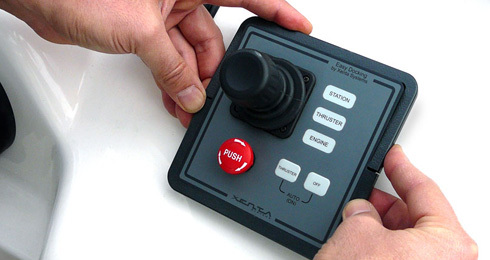 The THROTTLE system by XENTA Systems is compatible with the most common marine engines, gearboxes, and propulsion systems. In the traditional installations in shaft drive engines systems, the THROTTLE system coordinates the main engines and the gearboxes. The system is also able to manage all the additional functions of the hydrojet propulsion systems and of the surface piercing propellers systems.